Barbara, with her granddaughter Lillian. Barbara Applegate, a 46-year-old mother of two and grandmother of three, was diagnosed with Type 2 diabetes only a year ago, but she had the symptoms long before that. 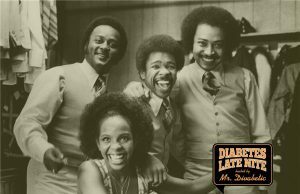 Like many people who have symptoms for the disease, the San Diego native who now resides in Tacoma, Washington, didn’t think it could ever happen to her –even with the knowledge that her mother, brother and grandfather all had diabetes. With the support of her family and friends Barbara is facing the disease down by taking control of her life and not let the diabetes control it for her. Barbara’s daughter in law and Everyday Diabetes contributor Natalie Marie Applegate, recently talked to her at her home in Tacoma. When did you find out you had diabetes? I was diagnosed one year ago, but I’ve probably had it longer before that. My past blood tests were always higher than normal. It wasn’t until I started having nerve pain (diabetes neuropathy) that I was officially diagnosed. What was your initial reaction to the diagnoses? I didn’t believe the doctors. I thought that when you have diabetes you have constantly high blood sugar in the 200’s and 300’s, but mine was only a little over 100 every time. I can tell when my blood sugar instantly drops. My heart races, I get sweaty and jittery. When it drops too low I feel completely disoriented. What did you fear the most after finding out that you had diabetes? I have kidney disease, and I feared that diabetes would make it worse. They kind of go hand in hand. I was scared of losing limbs like my feet or losing my toes due to IGA Nephropathy. And obviously, I was afraid of dying. 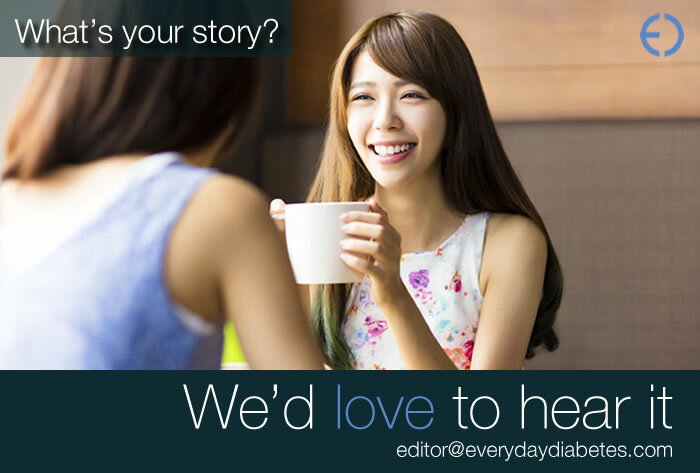 How has having diabetes affected your daily life? It didn’t affect me much until recently, when a friend, who also has type two diabetes, had to have a toe removed due to the disease. I didn’t listen to my doctors, and now I’m ready for a change. I am tired daily and have to take medicine for nerve pain, Metformin twice a day for diabetes control, and I have to check my blood sugar three times a day. It’s draining. How has it affected your family life? Some tension, my kids and husband are always harping on me to get healthier and exercise. What major symptoms do you feel and how often? I can tell when my blood sugar instantly drops. My heart races, I get sweaty and jittery. When it drops too low I feel completely disoriented. Diabetes has also caused major anxiety and depression in my life. I’ve cut sugar out completely. I haven’t made my signature fried rice since then. I think I’ve been eating much healthier. 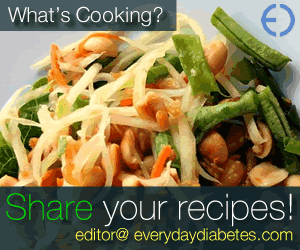 What would be the best way to educate others on diabetes? Listen to your doctor! Eat healthy foods and completely turn your lifestyle around. You need to lower your sugar intake as well as carbs, and practice a healthy diet. I think America should change the way they feed their kids in school cafeterias because diabetes seems to be a rising epidemic. Other countries have school lunches that are so healthy. Or, perhaps an education program on diabetes. How do your doctors help you with your treatment? This is a tough one. They constantly tell me to lose weight and eat healthy. To start a low carb and sugar diet. They constantly give me pamphlets, recipes, and have referred me to a nutritionist. 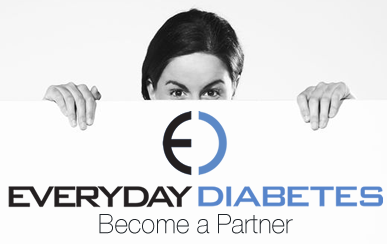 What accomplishment have you made during your diabetic journey that you’re most proud of? After my friend lost his toe due to diabetes complications, I’ve cut sugar out completely. I haven’t made my signature fried rice since then. I think I’ve been eating much healthier. Barbara and her daughter, Megan. What keeps you going every day and striving to become healthier? I want to be around to watch my grandkids grow up. I want to grow old happily and healthily with my husband. I really want to fight this illness, become healthy, and lose weight. What advice would you give someone who is newly diagnosed? Definitely listen to your doctor. Do what they say and immediately begin exercising and dieting. Stay away from those sugars! Stay healthy even if you don’t have diabetes so that you can prevent developing it. Have a good support system and backbone to help you get through the rough days. Natalie is a passionate writer devoted to her work, and has spent her last six years in Okinawa studying and making a family as a military wife.